I know. I’m pretty useless and should be updating this more regularly. From now on I will. Promise. I’m about to start a big adventure (well, big for me). As you know I decided to study with the Open University and attempt to get the degree that I avoided at the age of 18 after a disastrous set of A-Levels. I’ve been studying German and French part-time for just over two years and I am half way through now. This year I’m studying the final first-year course, intermediate French, along with my first second-year course of German. I’m finding it a little tough but am enjoying good support from my tutor, Christina and am now about to embark on the Residential School – a week at the University of Jena in the east of Germany. Since nothing with me is ever straightforward, I’m tackling the trip by coach and leave on Thursday. I’ll be heading from Manchester and hopefully arriving in Jena early Friday evening. So watch this space for updates en route….. Promise! There’ll be a new update in the next day or so….. 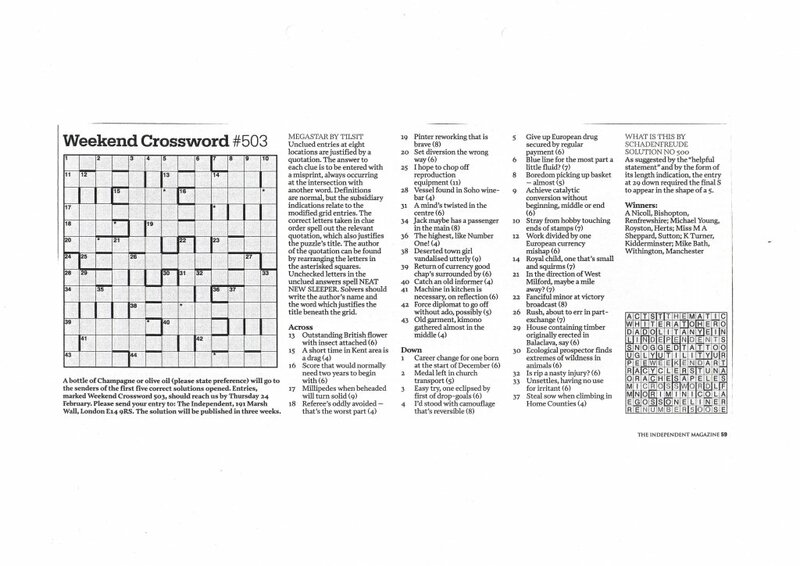 This was the third crossword puzzle I had published in the Independent Weekend Magazine. Thanks to Mike Hutchinson, Independent Crossword Editor and the newspaper for allowing me to publish it. 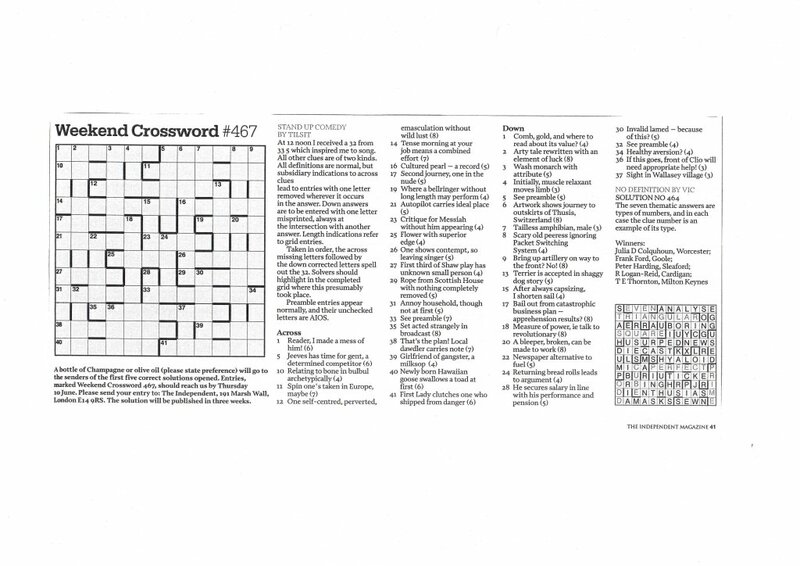 This was the second crossword puzzle I had published in the Independent Weekend Magazine. 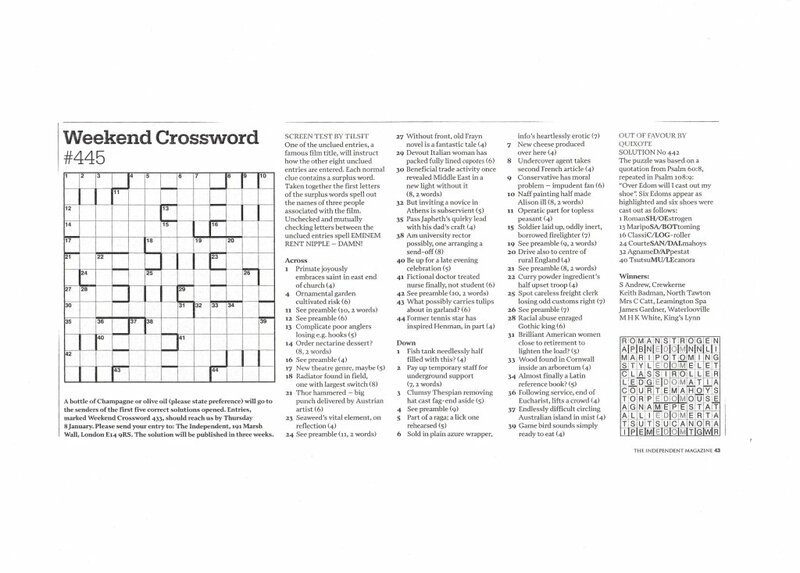 Thanks to Mike Hutchinson, Independent Crossword Editor and the newspaper for allowing me to publish it. Ye! I’m doing an update, so watch this space!